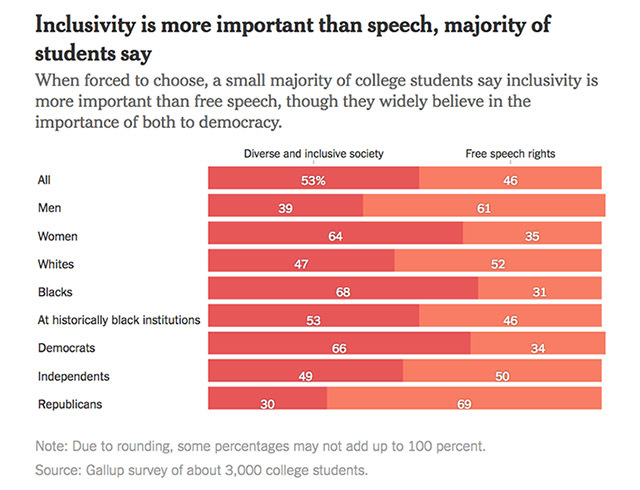 When forced to choose, a majority of students said that diversity and inclusivity were more important than free speech, though opinions differed widely by demographic. Those who belong to groups historically or currently in positions of power — white students, men or Republicans — tended to favor free speech, while nearly two in three students who were black, women or Democrats favored inclusivity. That gap was widest along partisan lines, with 66 percent of Democrats saying inclusivity was more important and 69 percent of Republicans saying the same of free speech. Those on the moderate to far-right can't even hold speeches without being violently attacked by antifa while those on the extreme left literally run most universities. Must the New York Times lie about literally everything? 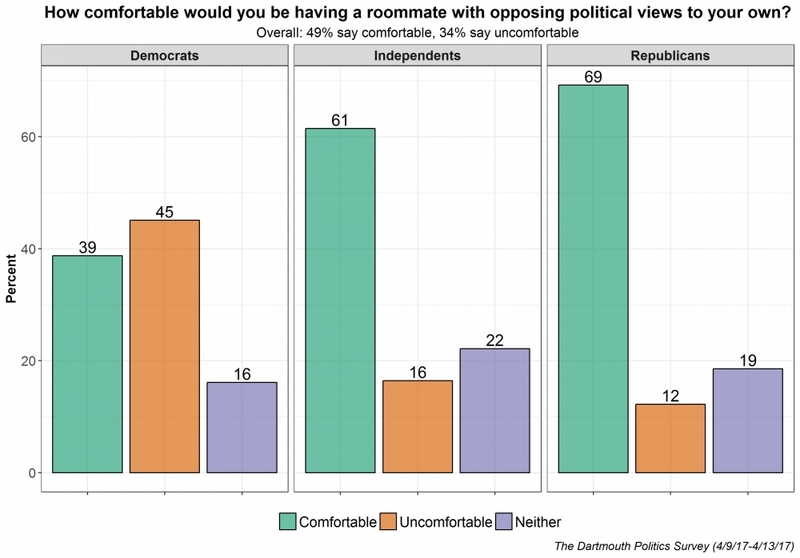 While Democrats say they favor "diversity and inclusivity," a survey from Dartmouth last year found Democrats are the least tolerant when it comes to their roommate holding different political views.